I am filled with light and happiness. 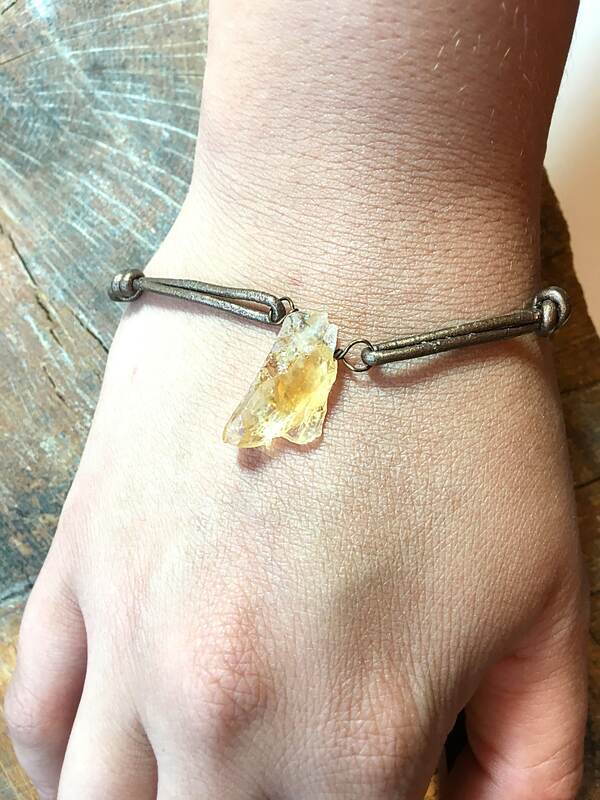 My Citrine pendant Bracelet is a beautiful glowing gemstone. The graduated colors in the stone are layered to just enlighten the glow of the stone. 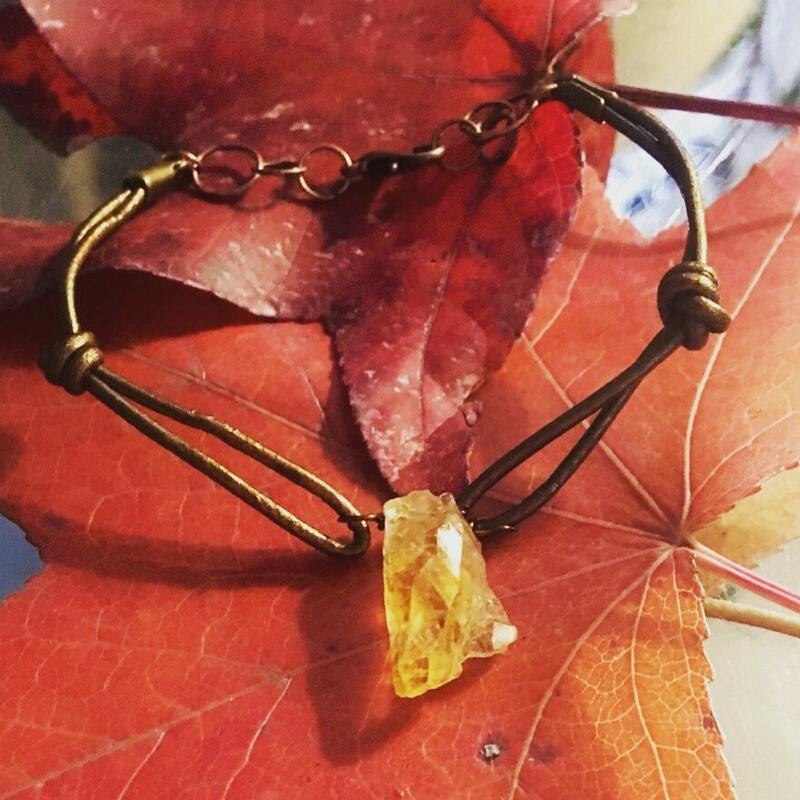 The bracelet features a raw cut Citrine stone wire wrapped by hand, in non-tarnishable bronze plated wire held up on hand knotted matte lace leather. Closed with a bronze clasps that has bronze statement circular shaped chain. *Warming, energizing, & highly creative. *Absorbs, transmutes, dissipates, & grounds negative energy. *Extremely protective for the environment. *Energizes every level of life. *Cleanses chakras specifically solar plexus & navel chakras. *Activates crown chakra & opens intuition. *Imparts Joy to whom behold it. *Improves motivation, activities creativity & encourages self expression. *Enhances concentration & revitalizes the mind. 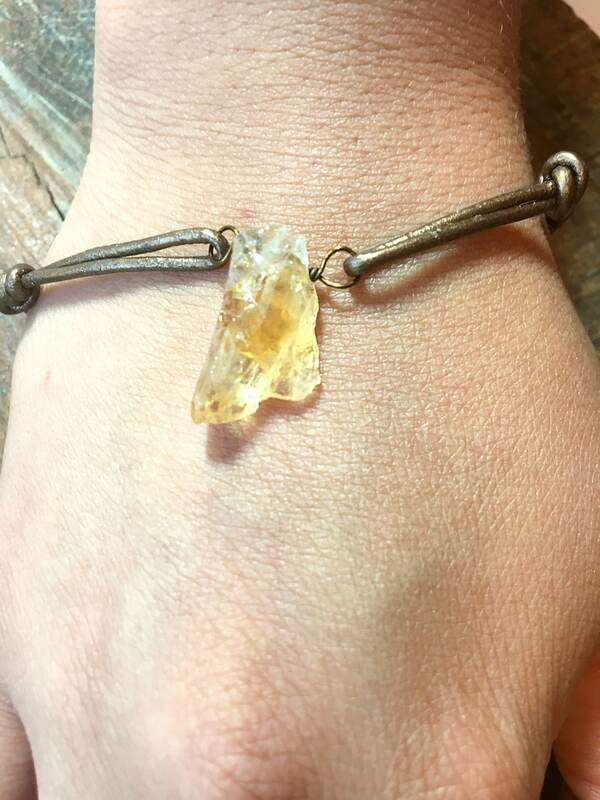 *Wearing a Citrine point down brings golden ray of spirit into the physical realm. Each order will arrive beautifully packaged in an elegant gift bag, ready for gift giving.